Shen Kuo was a renowned astronomer, mathematician, geologist, zoologist, diplomat, engineer, inventor, musician, finance minister, and more. 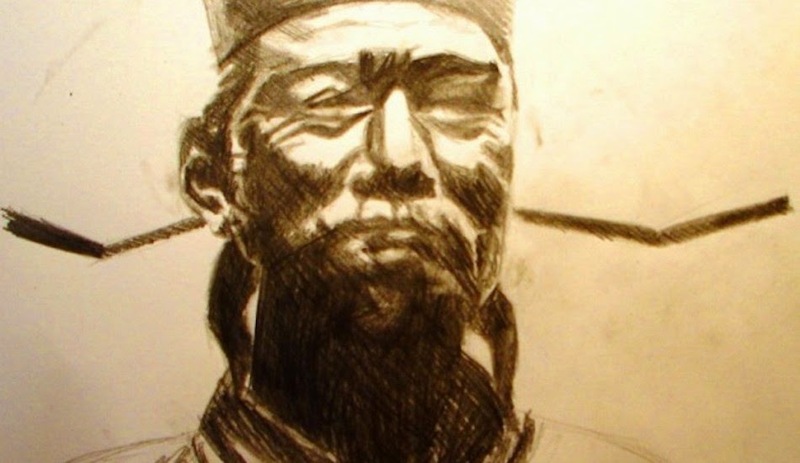 He lived during the Song Dynasty in China (960–1127). Within his writings, which cover many topics, is a passage detailing what appears to be unidentified flying object (UFO) sightings. Professor Zhang Longqiao of the Chinese department of Peking Teachers College discovered in the 1970s a passage in Shen’s book “Mengxi bitan” (“Brush Talks From Dream Brook,” also known as “Dream Pool Essays”) describing the pearl-like UFOs. Shen is as credible a source as one could ask for in 11th to 12th century China, he remains a well-respected contributor to the progress of science in the region. Professor Zhang was “inclined to think that this might in a big way supply a clue that a flying craft from some other planet once landed somewhere near Yangzhou in China,” according to Paul Dong, a writer whose articles have appeared in some of China’s most popular publications, including state-run newspaper The People’s Daily. Dong became editor-in-chief of The Journal of UFO Research, working with many UFO researchers and other experts at a time when China was hot with UFO fever (the late 1970s, early ’80s). “In the years of Emporer Jiayou (1056-1064), a UFO as bright as a pearl often made its appearance over the prospering city of Yangzhou of Jiangsu Province, particularly at night. At first the object was seen on a lake in Tienzhang County in eastern Anhui and later on the Pishe Lake northwest of Gaoyou County in Jiangsu. Subsequently it was often seen by the local inhabitants near the Xingkai Lake. “One night, a man living by the lakeside found a shining pearl close by while studying outdoors. The object opened its door and a flood of intense light like sunbeams darted out of it, then the outer shell opened up, appearing as large as a bed with a big pearl the size of a fist illuminating the interior in silvery white. The intense silver-white light, shot from the interior, was too strong for human eyes to behold; it cast shadows of every tree within a radius of ten miles. “The spectacle was like the rising sun, lighting up the distant sky and woods in red. Then all of a sudden, the object took off at a tremendous speed and descended upon the lake like the sun setting. “Yibo, a poet of Gaoyou and a frequent eyewitness of the moon-like pearl, wrote a poem about it, but after some years the moon-like pearl disappeared. In the same book, Shen outlines other scientific observations that we now see were accurate. For example, he provided the first description of a magnetic compass’ workings, he identified and analysed fossils, he argued against the theory that the tides are connected to the sun and identified a correlation with moon cycles, and he hypothesized that the sun and moon are spherical rather than flat.